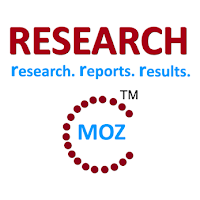 ALBANY, NY, July 2015 -- ResearchMoz.us includes new market research report " India Outbound Tourism Market Forecast to 2020: Industry Size, Shares, Growth, Analysis, Trends And Forecast" to its huge collection of research reports. Singapore has replaced Thailand and captured the number one position in 2014. Based on the current trends we believe Singapore is expected to maintain its leading position for couple of years. United States and China are the third and fourth popular destination for Indian travelers. Malaysia is also gaining foothold in the India Outbound Tourists Numbers. In terms of spending by Indian tourists, United States is the leader in spending in 2014. Indian tourists spending share in United States is higher than the combined share of the top 9 tourism destination. Thailand and Australia stands at second and third spot in terms of outbound tourists spending by Indians in 2014. Singapore is standing at fourth spot in terms of spending by Indian tourists being followed by United Kingdom. Indian outbound tourists’ number is growing year on year. India Outbound tourism market will surpass the figure of US$ 40 Billion by 2020. Taking note of the booming Indian Outbound Tourism, many countries - including Ireland, Spain, South Korea, Indonesia, Macau (China) and Poland - have recently opened tourist offices in India. In order to service the growing demand in outbound business, travel agents in India are gearing up by hiring fresh talent and upgrading existing skills and knowledge to incorporate outbound tourism as part of their total product and service offering. They are either setting up small departments within the existing structure or expanding aggressively to promote new verticals or companies focused only on outbound tourism. “India Outbound Tourism Market: Outbound Tourists Visit, Tourists Spending and Forecast to 2020” provides a comprehensive assessment of the fast-evolving, high-growth India outbound travel industry. This report provides a complete analysis of top 16 countries worldwide for Indian tourists. All the country in the report has been studied from four view points.